BERT WAS BORN AND RAISED IN WATERFORD AND CALLS CORNUBIA HOME WITH HIS WIFE JUDI, AND SONS ZAC AND JOSH. 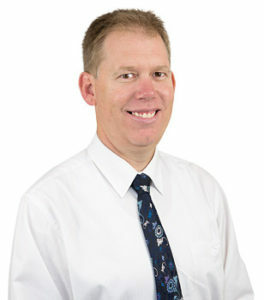 Bert van Manen was first elected by the people of Forde in the 2010 federal election and was appointed the position of Government Whip in August 2016. As the Member for Forde, Bert is focused on Fixing the M1. He believes commuters are spending far too much time sitting in traffic, and is committed to seeing people in his electorate get home faster and safer. Elected as the Member for Forde in 2010, Bert has achieved a lot for the region and provided more than $1 billion in funding to address safety and congestion issues facing commuters on the M1. Bert has delivered $215 million for the Pacific Motorway upgrade at the M1-Gateway Motorway merge (southbound), he played an instrumental role in securing funding for Exit 54 upgrade at Upper Coomera as well as secured vital funding for Gateway to Loganlea road, with construction commencing 2020-2021. However, work is not finished yet. His next commitment is to fixing exits 41, 45, and 49 and upgrading the Mt Lindsay Highway. Prior to entering federal parliament, Bert worked for one of the major banks for 15 years. Eventually, his passion for improving the future financial outcomes of his clients inspired him to start his own business with his wife Judi. Owning and operating a small business provided him with a unique understanding of the challenges small to medium businesses face. He was born and raised in Waterford and lives in Cornubia, on the east-side of his electorate of Forde with his wife Judi, and sons Zac and Josh. In his younger years, Bert was an avid goalie who played at a representative level in Football. To this day, Bert has been spotted lacing up his boots and jumping in front of the goal posts for social games and penalty shootouts. As a man who commits his time in public life to working on solutions to improve the economic environment, Bert’s passion is to provide future generations with the security of a strong economy; with an abundance of opportunity for everyone to be able to give back to their communities. The greatest honour in Bert’s career is being elected to represent the community that he grew up in. The community has generously supported Bert and he is forever indebted to return the favour over the years to come as he represents the people in their best interests.